Elisabeth Kendall in Yemen. She owns this photo! Er, not me, but the woman pictured! 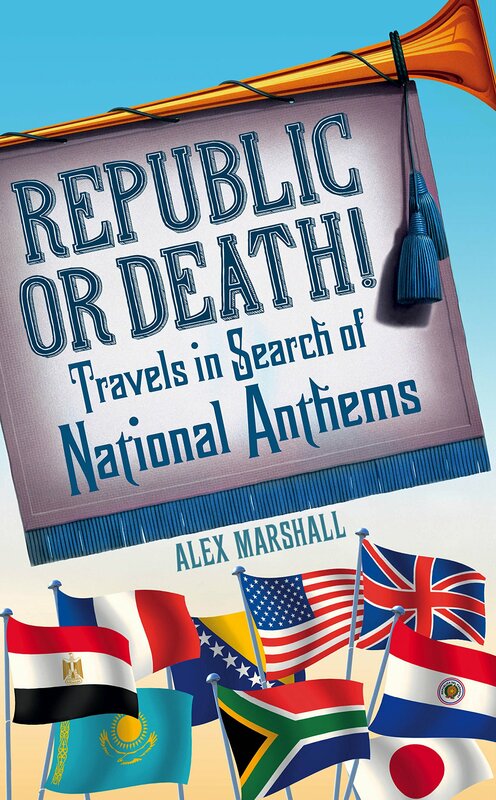 Anyone who’s read my book on national anthems will know that I have a deep (i.e. worrying) fascination with jihadi culture, especially the songs that such groups put out and almost gain the status of ‘national’ anthems. You can read a little about that musical world here. Well, this week I wrote a piece for the BBC extending that interested. It’s a profile of Elisabeth Kendall, an Oxford academic who’s not just interested in jihadists’ music, but their poetry too. You can read about her insane life and learn just why such work is important here (or if you’re Spanish, here). The piece has been having very nice things said about it by everyone from Peter Frankopan – author of The Silk Roads – to Rukmini Callimachi, the NYT’s terrorism correspondent. Even Tom Holland, the historian, said he liked it. All of which is very professionally pleasing, but I’m largely putting it below to try and make you read the piece as this stuff’s vital to how we understand the world. Thanks in advance! What should London’s anthem be? If it goes independent, obviously. And who knows post-Brexit?!? Dizzee Rascal’s Fix Up, Look Sharp? “Er… What?” I hear you say. Yes, Dizzee would be a strange choice. But he’s mine, and for a good reason, which you can learn by listening to Adrian Lacey’s great London Podcast at his site, via iTunes or here if you’re using Android. I’ve never been asked the question before, which is surprising given so many cities, at least in the US, have anthems. Adrian gave me one of the best podcast experiences I’ve had, taking me back to my childhood school in the London suburbs to stand in pouring rain (that wasn’t his fault) and explain where my love of music came from, doing a full, fascinating interview about the book, and even getting me to do a reading. In the episode, he also goes out on London’s streets to ask people what their anthem would be. And he tells a brilliant story about his (white, lower-middle class, British) parents trying to write Nigeria’s anthem when it became independent. It’s a real fun and interesting listen. And few podcast presenters go to such efforts, so, seriously, head here to hear it. Adrian’s done some amazing other podcasts on everything from the Fire of London to Bob Marley’s London home, so check out other episodes if you can. Huge thanks to him if he’s reading. Earlier this week, it emerged that the terrorist in Nice, Mohamed Lahouaiej Bouhlel, had searched online for Islamic State songs “on a near-daily basis” in the fortnight before the attacks. They may have played a part in his radicalisation, prosecutors said. If you want to learn more about them, read my book, or scan the audio guide here. Yes, this is a controversial topic, but it’s an important one, and increasingly so. La Marseillaise: has France’s controversial anthem finally hit the right note? The Marseillaise has always been one of the world’s most contested songs. Within weeks of it being written in 1792, its composer, Claude Joseph Rouget de Lisle, was thrown in prison suspected of being a royalist, a move that almost took the anthem down with him (he only escaped the guillotine by writing another song about Louis XVI having his head chopped off). It was written as a call to arms to inspire people against an Austrian invasion – hence the chorus: “To arms, citizens … Let’s water the fields with impure blood.” But the interpretation of the lyrics quickly changed, and it would latterly be seen as dangerously anti-establishment and, paradoxically, a tool of the elite. A few years after that, Napoleon disowned it completely, both because he had seen its power and did not want it inspiring a revolution against him, and, slightly more prosaically, because he hated its composer who had probably had an affair with his wife. It had a brief recovery in 1830 after the then king, Charles X, was overthrown in the ‘Three Glorious Days’ uprising, but soon it sunk back into disrepute – a song you would only sing if you were old-fashioned and did not realise musical times had changed. It did not really regain its initial meaning of defiance and unity – of a nation confronting “tyranny’s bloody banner”, to quote the first verse – until the First World War when it became a rallying cry once more. Back then, Rouget de Lisle’s remains were even paraded through the streets of Paris in an effort to inspire, ironically ending up in Invalides, the home of the French military, just yards from Napoleon’s tomb. The Marseillaise meant everything to the French again during the Second World War (it was sung by the resistance having obviously been banned by the Vichy government). Afterwards it somehow kept that vitality, becoming a rallying cry to rebuild the devastated country, its chorus’s cry of “To arms, citizens” turning out to be just as useful in motivating bricklayers as it had been soldiers. But since then, there is no denying that it has just become awkward, especially because of how often it was sung during France’s occupation of Algeria and its brutal, eight-year-long war of independence. The Beatles’s use of it in All You Need is Love and Serge Gainsbourg’s brilliant reggae cover – the hilarious Aux Armes et cetera – gave it a brief respite from that image, even for a few years making the anthem cool, but the fact French nationalists tried to beat up Gainsbourg for his cheek tells you more the real direction where things were heading. If you want to understand the full extent of how controversial it became, you only have to look to football. In 2001, French-Algerians booed it in the first-ever match between the two countries. In 2002, Corsicans booed it at a cup final so loudly that the then president Jacques Chirac stormed out and the match was only allowed to restart after he calmed down. The booing has not really stopped since. A couple of years ago, I spent a fortnight in France researching the anthem for a book I was writing about the history of these songs. I asked dozens of people what they thought of the Marseillaise, and that controversy – that uncomfortableness – was surprisingly what came through most. Everyone said they liked the music, of course – who couldn’t fall for a melody as stirring as that, one which has grabbed everyone from Tchaikovsky to Debussy? – but the words? That was a different matter. Everyone from teenagers to old women would bring up the chorus and its climax: “Let’s water the fields with impure blood.” They all knew when it’d been originally written, but they also knew it had been hijacked by both its colonial legacy and by the far-right – Le Pen’s National Front – people who seemed to hear the words “sang impur” – “impure blood” – and take it as referring to the country’s immigrants. I would point out all anthems are deep down like this, songs written at times of war with their meanings changing over time – Algeria’s at one point says, “Oh France, the day of reckoning is at hand” – but it did not change their views. But today, now, something has changed. This moment somehow seems different. As the anthem has been sung around the world, played so much it is almost inescapable, it is as if all those past associations have disappeared, as if the song is being reinvented and reclaimed before is. It is like everyone, in France as much as outside it, is once again seeing it for how it was originally written. You only have to look at the French parliament’s rendition of the anthem this time to see that. The volume never dropped; the words were never anything but punched out. Tonight at Wembley everyone will sing too, with joy and fun as much as respect and solidarity (you can’t not have fun while singing the Marseillaise). And it’s because of that this moment marks a genuine chance to take the song back from the far-right and make it a symbol of France today, united and defiant, combating tyranny both within its own borders and without. The Marseillaise could one again become an example to all countries of the importance anthems can have, of being able to inspire people to act in extraordinary ways, something remarkably few anthems achieve (could you imagine people turning to God Save the Queen in a similar moment here?). But I admit this feeling could only be fleeting. How the Marseillaise will be viewed in a month, six month’s, a year’s time will be entirely dependent on whether French politicians see this as a moment to unite or whether they clampdown on the country’s Muslim population in a way that will only be further divisive. If they do the latter, the Marseillaise will revert to being a contested symbol, one for the far-right only and no one else. You could soon find the Marseillaise being booed again, its current status as an icon of global unity gone in an instant, and everyone who sings it tonight wondering what on earth went wrong. That may fit the song’s history, but it shouldn’t – mustn’t – happen. Last year, I wrote this article for The Guardian about the Islamic State’s apparent “national anthem” – the worryingly catchy My Ummah, Dawn Has Appeared. Some doubted the Islamic State would do something as Western as pick a song to represent itself, but it seems the song’s only grown in stature since that piece was written. 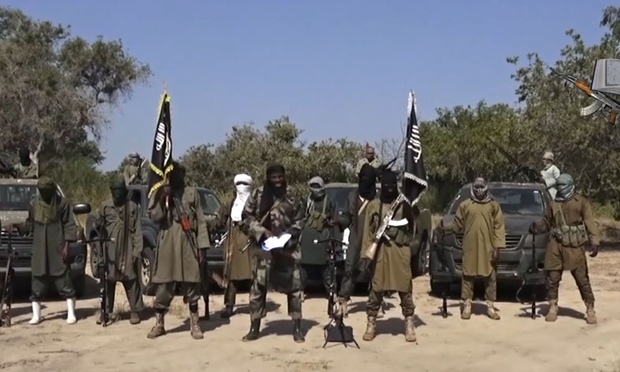 Last week, for instance, Boko Haram – the Nigerian terrorist group allied to ISIS – used it to open one of their propaganda videos for the first time, according to the excellent Jihadology website. Expect it to appear in other parts of the self-styled caliphate soon. Yes, a song that sounds like it was made for yoga classes really has become the soundtrack to modern terrorism. Christ. I recently wrote this article for the Guardian on the Islamic State’s national anthem and how the body’s changing the music of jihad. It was the most interesting article I’ve researched in a while, so hopefully it’s a moderately interesting read. For those without the time to read 1,500 words, here’s the actual anthem. It’s great… until 2’53 in. Update: If you want even more on ISIS’ music, I recently spoke to the Canadian Broadcasting Corporation’s brilliant Q radio programme about it. Listen here. They amazingly gave me 15 minutes to prattle on. You have been warned!